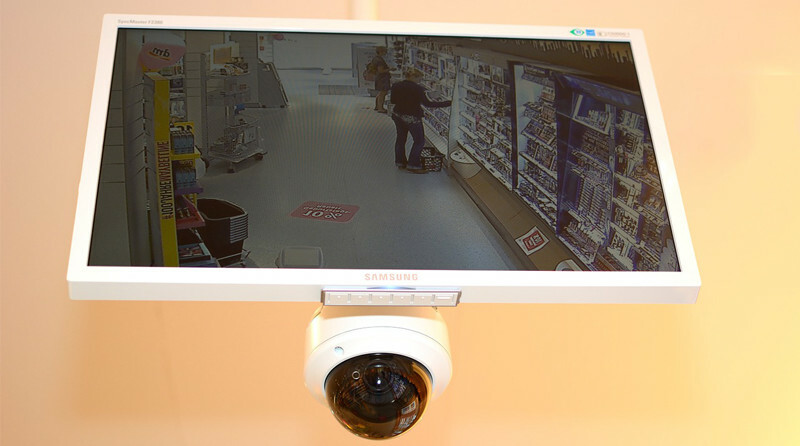 Powerful IP surveillance cameras to keep your business upright. Axis Communications released the first IP camera in 1996. Nearly 20 years later, they’re a worldwide leader in the IP surveillance market. The IP surveillance market is growing and growing and growing. 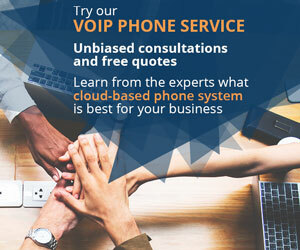 Businesses and organizations are migrating from analog to digital security systems at a rapid pace as they see the overwhelming advantages attached to IP-based technology. 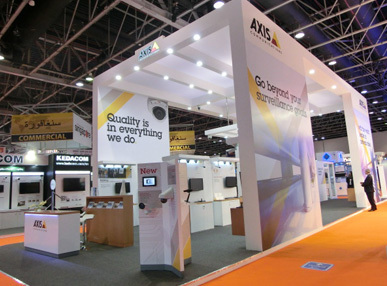 Axis’ success comes from their diverse line of IP cameras, hardware and software. They have a solution for nearly any environment, indoor or outdoor condition, security need, and anything else. Cameras from Axis include tiny, pinhole cameras that can be used to peep through little openings in ATM machines and places where people frequently interact. There are dome-style cameras that can be mounted from the ceiling or wall, weatherproof models, vandal-resistant models and even models specifically designed for nighttime or outdoor deployment. An overview of features available on certain models. Multi-megapixel image sensors let the cameras record and stream full HD video. With resolutions beyond HD, the cameras can zoom in on specific details while still maintaining 1080p definition. H.264 and motion JPEG video streaming give the cameras interoperability with standards-based networks. The cameras can also simultaneously stream multiple video feeds. Break up the camera’s picture into several individually controllable fields, such as one overview image and a few other images of more specific regions. Internal microphones bring two-way audio capabilities to certain models. Models like the Axis M1054 camera have a built-in speaker and mic, ideal for communicating with visitors at building entries. The cameras can detect sound, motion, tampering and other events, and issue alerts. Local storage via onboard card readers gives cameras their own DVR solutions. As well as issuing alerts when an event is detected, the cameras can immediately start recording video and audio to save network resources or as backup recording. Thermal cameras are an excellent choice to compliment a 24-hour surveillance strategy. Cameras with visual-only image sensors can only see when light is entering the sensor. At night, those sensors cannot work as optimally as they should. Thermal image sensors can detect and record heat signatures. The cameras can use these image sensors to see into shadows, storms or the dark. IR LEDs (not thermal image sensors) let the cameras without thermal imaging pickup near-infrared light. The camera can then create crisp black and white images in near dark conditions. However, IR LEDs are not always enough for a complete 24-hour solution. Mount cameras like the Axis P5534 camera to survey an incredibly large area. It includes mechanical pan, tilt and zoom. Through an auto-flip function, the camera can pan a full 360 degrees. The optical zoom on the camera can magnify images up to 18 times, with 12 times digital zoom also included to further amplify the image. 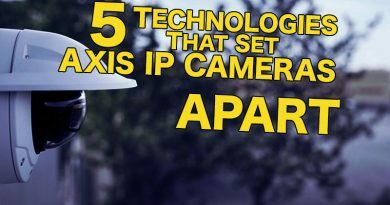 The Axis P5534-E camera offers the same features and it’s weatherproof for outdoor deployment. Don’t miss anything over a huge parking lot, airport, park or any other expansive space. Many of the cameras are IP66-rated to protect the internal components from weather like wind, rain and snow. Housings and casings with built-in heaters and fans help the cameras withstand harsh temperatures, from 40 below zero to well over 100 degrees Fahrenheit. Perfect for outdoor surveillance. Impact-resistant casings shield the cameras from would-be vandals. They are available on both indoor and outdoor models. 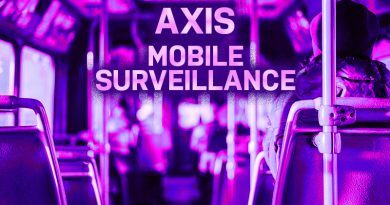 Axis also builds miniature cameras for discreet surveillance, full panoramic cameras, mobile cameras for busses and transportation, and fixed cameras designed to be pointed at a critical point and never stop recording. Mounts and other accessories enable the cameras to be installed on a pole, wall, corner, ceiling and anything else. Software, encoders and decoders from Axis help you immediately set up a new IP surveillance solution. The first step is to determine what your surveillance requirements are. Take into account all of the features available on Axis’ cameras. They do so much more than their analog counterparts. With multi-streaming capabilities, one Axis camera can do the work of several. PoE lets the cameras receive both power and data from a single Ethernet cable, reducing the amount of cabling required. The cameras can be integrated with alarms and UC to create an incredibly advanced surveillance solution. If you already have an existing analog network, use the encoders to connect the analog cameras to a new IP solution. The decoders can take the IP signals, including H.264 or motion JPEG, and convert them to RCA or HD outputs for operation with existing monitoring systems. 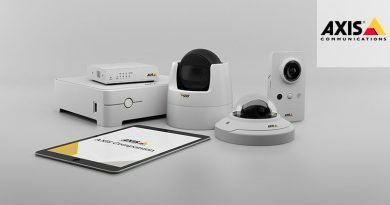 Axis revolutionized the IP camera and they’re still spearheading the technology. IP surveillance is a reality for any office building. 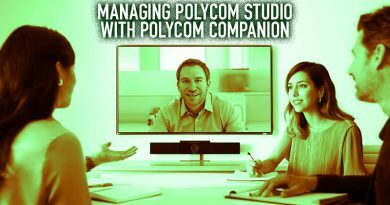 It’s letting managers view their business remotely, record video to anywhere, use one camera for many applications and watch full HD surveillance footage as though it was their favorite movie. The camera types and technology available are endless.